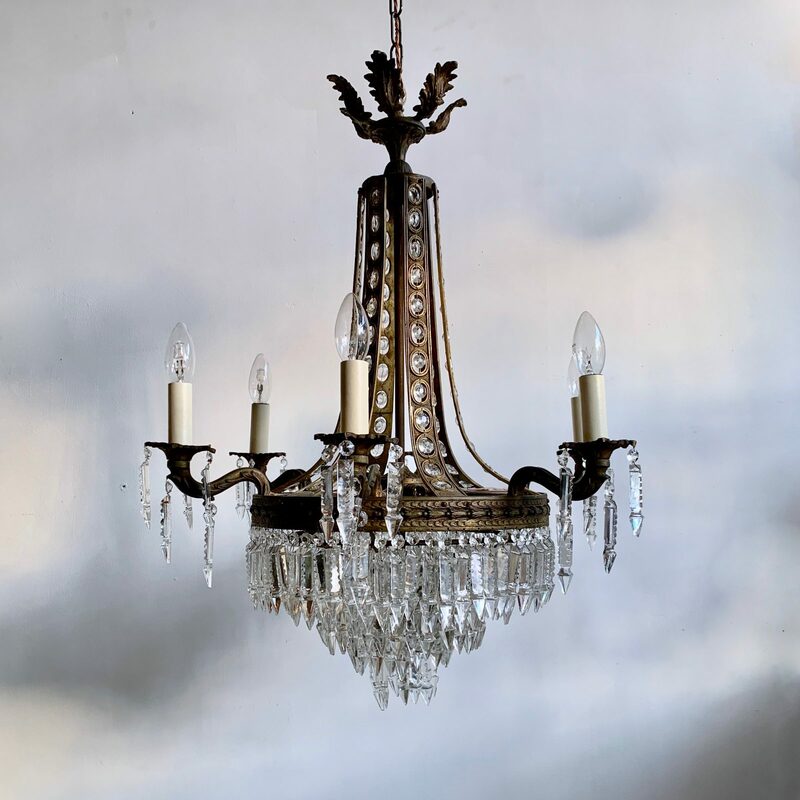 This beautiful chandelier originates from France and has five tiers from which hang crystal Prince Albert drops. The chandelier has six outer arms. The upper part of the light is dominated by the elegant Eiffel Tower arms which are studded with crystal buttons which sweep up delicate brass leaves. The chandelier requires B15 and E14 lamps and would suit a medium sized relatively lofty space.